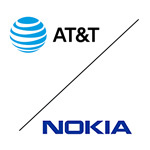 AT&T is partnering with Nokia to provide reliable connectivity for the Internet of Things (IoT) devices. Chris Penrose, the President of the IoT Solutions of AT&T, said the carrier’s enterprise customers will benefit from this partnership through the simplified adoption of IoT devices and the improved ability of the network operator to respond to the concerns of its customers. Furthermore, the carrier noted in its announcement that this partnership enables AT&T to address specific business concerns of companies using latest technologies including 5G network slicing. Worldwide IoT Network Grid (WING), a service that is developed and managed by Nokia, will be used by AT&T. WING assists network operators in managing IoT devices, securing connected appliances, and facilitating the billing of the carrier’s customers. Another advantage of utilizing Nokia’s WING service is that it allows AT&T’s customers to access the global IoT ecosystem and infrastructure of the Finnish tech firm. It is expected that the core network assets of Nokia’s WING service will become available in 20 different countries by 2020. AT&T will also utilize its own cloud-based service dubbed as the Multi-Network Connect platform. This platform enables businesses to manage their IoT devices remotely using a variety of communication technologies, including 2G, 3G, 4G LTE, Low-Power Wide Area Network (LPWAN), and satellite. Aside from the compatibility with a variety of communications standards, the carrier claims that another benefit of using its Multi-Network Connect platform is the ability to manage and monitor the devices using a single portal. The partnership will begin developing, testing and launching IoT offerings this year. Offerings will be available in more than 20 countries in Europe, Asia, North America, South America and the Middle East by the first quarter of 2020. The partners will target a number of industries, including transportation, health, manufacturing, retail, agriculture, utilities, consumer electronics and smart cities. The initiative will “help set the stage for the evolution to global 5G,” according to the companies. This is not the only IoT partnership in which AT&T is involved. In February, the mega telco and Ericsson said that they are teaming up for IoT device certification. The collaboration includes testing, verification and “white glove” assistance with regulatory approval process. The program is available in more than 150 countries. Early last year, AT&T said that Carrier, one of the world’s largest appliance and equipment manufacturers (made famous by Donald Trump’s visit), will build AT&T’s IoT functionality into its heating, ventilation and cooling (HVAC) product line.